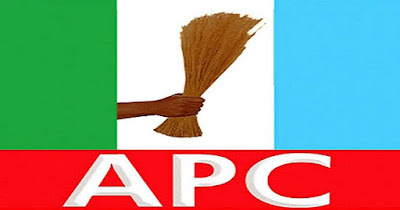 The chairman of the All Progressives Congress (APC) in Kwara state, Hon Bashir Omolaja Bolarinwa has restated the need for the elected Legislatures to the National Assembly on the platform of the party from the state to tow the party's directive and recognise the supremacy of the party on the choice of principal officers..
Bolarinwa in a press statement issued by the party state PRO, Alhaji Tajudeen Aro Folarin made this statement against the backdrop of the need to activate the party's position on the election of principal officers at the National Assembly. It is in the same light he charged them not to put personal interest above that of the party. He warned of a repeat of the 2015 event when some members of the APC in their selfish desire undermined the party's decision. There is no better time to build the foundation for the Next Project than now, he stated. According to Bolarinwa, there is no two way about it, the party's choice of candidates must be adhered to," what we saying is that let us have a united front, " he added. NIGERIA is gradually coming up of age!. Notwithstanding,we hope that the 2023 general Elections will be more advanced and better than the 2019 General Elections Results!. "All hands must be on the decks to achieve this laudable Objectives!.